I used Clinique's 3 Step Skincare System a while back and when I first got the items, I wanted to try inserting them into my pre-existing Korean skincare regime. I found it a bit confusing at first, and it was a bit trial and error with some unfortunately breakouts as a result. However, I'm pretty confident I know what goes where now so if you're looking to insert Clinique's 3 Step into your own multi-layered skincare routine, look no further! Please note I'm not sponsored by Clinique to do this. I don't actually use the 3 Step any more but I wished there was a post like this when I first started using the products, so I figured I may as well go ahead and write it. Also note that all skin types and regimes are different - we all use different products, probably in a different order so read on and see what information you can use for your own skincare regime. You might want to try inserting one product into your skincare regime at a time, for a week or so, so you don 't overwhelm your skin with lots of new products and layers. 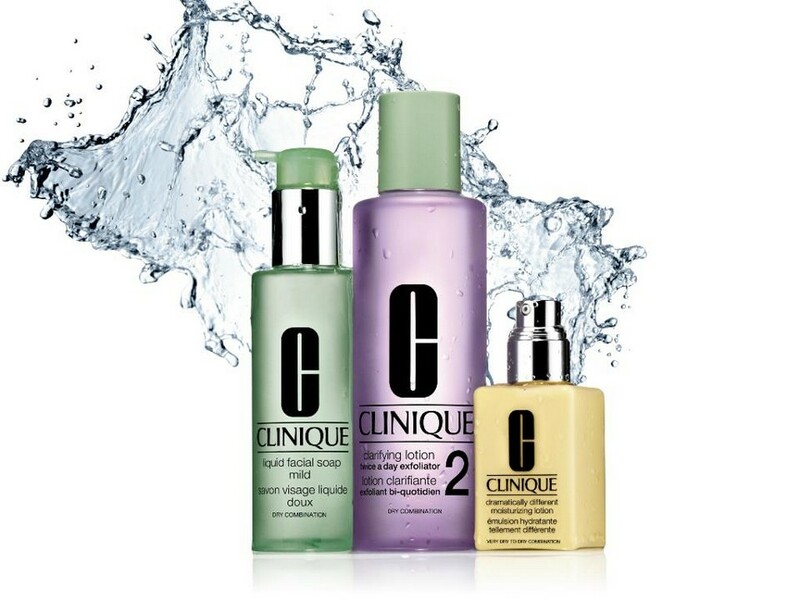 Step 1 - the Clinique Liquid Facial Soap can be used in place of your foaming cleanser in a Korean skincare regime. Clinique's soaps were neither here nor there for me so I went back to Korean foaming cleansers after using up mine. These Clinique soaps don't replace the first step of double-cleansing though, which is makeup removal/oil cleansing. Clinique's Clarifying Lotion is an acid/BHA toner (also called a peeling toner in Korean skincare). In a Korean skincare regime, it would be used after double cleansing and before using an AHA serum or moisture toner. Unlike using a moisture toner, I recommend using cotton pads or balls to apply this since the sweeping motion helps get rid of dead skin cells. Depending on your skin type and preference, you might want to use DDML as a light lotion/emulsion, or if your skin is more on the normal-combination, or even oily side, you could use it as your last face cream or consider using the oil-free gel version instead. I use this in place of an emulsion such as The Face Shop Calendula Essential Moisture Emulsion. I then follow up with a more emollient cream like Secret Key Snail & EGF Repairing Cream. That might seem like a lot of products but I have dry skin and they're all quite light, highly absorbed layers. In the morning after my skincare routine my face doesn't feel greasy or oily. My skin feels a little oily after my night routine but only because of the facial oil which is more intensive for night time. It has alllllll night to soak in and get to work, baby. I hope this post has been helpful to anyone looking at using the Clinique 3 Step in a Korean skincare regime and if you have any thoughts, I'd love to hear them! All content (c) Geisha Baby unless otherwise stated.. Powered by Blogger.